Whether your style is classic or contemporary, you're cordially invited to live the Crate and Barrel lifestyle with an exclusive collection of indoor and outdoor furniture, home decor, cookware and accessories. Crate & Barrel: No coupon code needed. Tap to shop the sale now. Crate & Barrel: Get Up to 50% Off Select Breakfast specials. Crate & Barrel: Get Up to 60% Off Select Kids Outdoor Furniture on Clearance. Includes kids outdoor chairs, benches, tables and select step stools. Crate & Barrel: Get up to 30% off Select Nespresso Espresso Makers. Crate & Barrel: Get up to 70% off clearance. Crate & Barrel: Tap offer to copy the coupon code. Remember to paste code when you check out. Online only. Crate & Barrel: Get up to 60% off Zwilling Four Star Knife Sets. 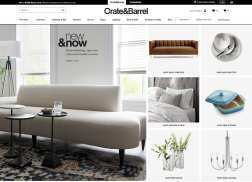 Crate & Barrel: Get 10% off your first order when you sign up for email. Offer valid on full-price items. Must be new email subscriber. Crate & Barrel: Get 30% Off SRP Staub 3-qt Enamel Cast Iron Tomato Cocotte. Crate & Barrel: Get Free Shipping Everyday Over 2000+ Items. Crate & Barrel: Get up to 40% Off select Kid’s Outdoor Furniture. Includes kids outdoor chairs, benches, tables and select step stools. Crate & Barrel: Get up to 70% off clearance sale. Crate & Barrel: Our Picks for your List! Get 15% Off Gifts. Crate & Barrel: Get 20% Off Rowenta Promaster Iron. Limited time only. Crate & Barrel: Get up to 70% off Summer Clearance and Outlet. Crate & Barrel: Get 20% off Outdoor Dinnerware & Drinkware. 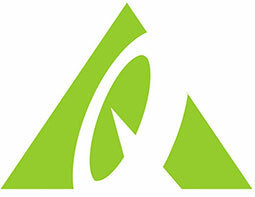 Includes select outdoor melamine dinnerware and serveware, plus acrylic drinkware. Crate & Barrel: Get up to 50% Off select outdoor cushions and pillows, umbrella covers, frames and stands.